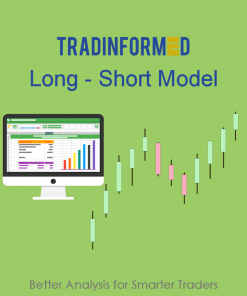 Long Short Advanced Model with three Candlestick Patterns. This model comes with the long and short versions of the Engulfing Pattern, Harami and Hammer/Shooting Star. 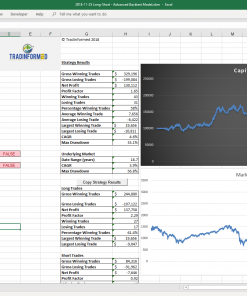 It also includes the ATR, built-in and time of day filters as well as profit targets and stop-losses. Candlestick patterns are probably the easiest ways to understand what is going on in a market. We can see in an instant what a market has done, and what it might do in the future. 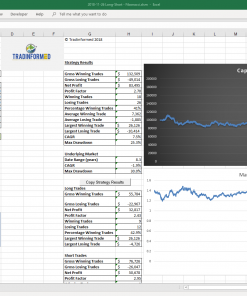 The great thing about these patterns is that they appear in all markets and on all timeframes. Many of us use these patterns as a guide to our trading. But before you trade candlestick patterns, you should know how well they work in the markets that you trade. 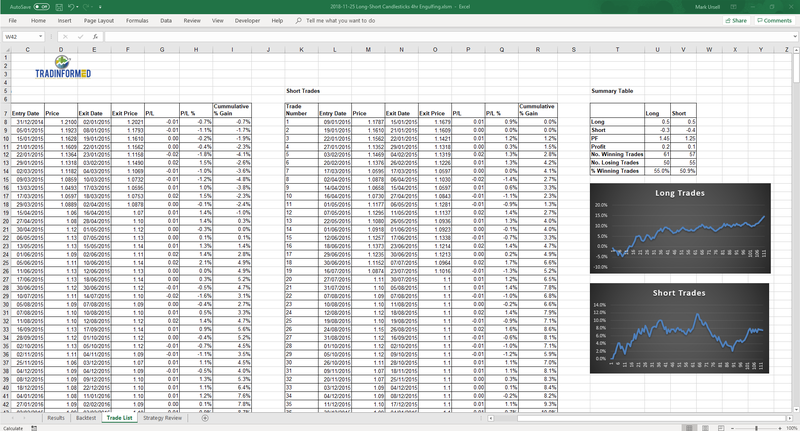 This backtest model comes with three popular patterns already programmed in. You can get even more patterns by combining it with: 21 Japanese Candlestick Patterns. 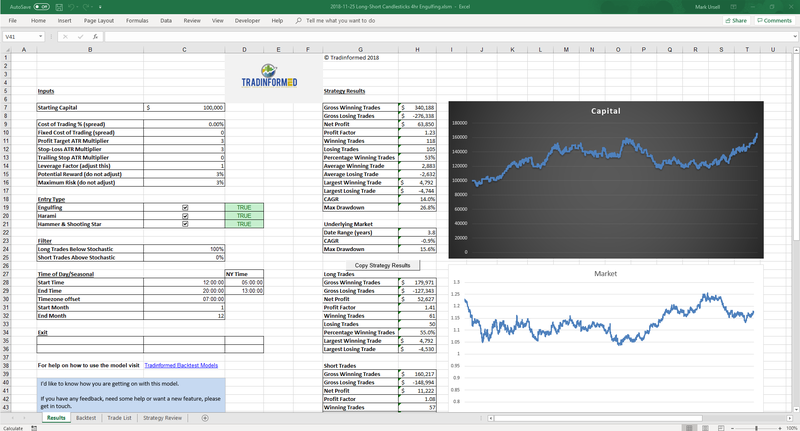 Like all Tradinformed backtest models, this spreadsheet can be altered to trade different markets and timeframes. You can learn more about using the models here: How to Use a Tradinformed Backtest Model.